Within the Nicene Creed, the phrase “one in Being with the Father” will become “consubstantial with the Father.” When a priest prays over the bread and wine used for the Holy Communion , he will ask God for blessings “by sending down your spirit upon them like the dewfall.” Vatican officials say the language is more accurate and should therefore help clear up ongoing concerns about the legitimacy of English translations in the Bible. 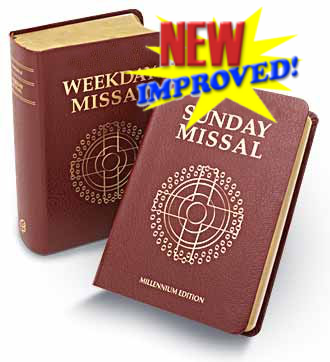 But priests complain that they can’t promote the new missal with integrity. In the new format, the overall structure of Mass remains the same, although the content has changed. During the introductory rites, when the priest leads the assembly in making the sign of the cross, the key elements of the passion of Jesus must symbolically be reenacted. Women from the audience now take the stage and anoint their husbands using blessed canola oil. After, a meal (doughnuts) is served to each family in attendance. One person in that family must betray the head of the family, who metaphorically assumes the role of Jesus. Deacons and servers approach and beat each Jesus in the assembly senseless while he struggles to make the sign of the cross. 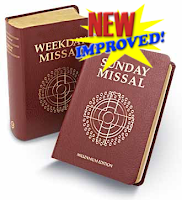 Other changes affect the practice of baptism, in which priests will now bathe unchristened children in kisses, their lips purified by holy water. Vatican officials say the ritual eliminates concerns about drownings as babies will no longer be submerged in a basin filled with dangerous inches of sanctified water.